Football! If there’s one sport that inspires more get-togethers at friend’s houses, I don’t know what it could be. And sure, you could just go ahead and call up your friends and invite them over, but wouldn’t it be better to send them an invitation? Be it just for the Sunday game of the week or the Superbowl, creating your own football invitations can be a great way to kick your team spirit kicked into overdrive. 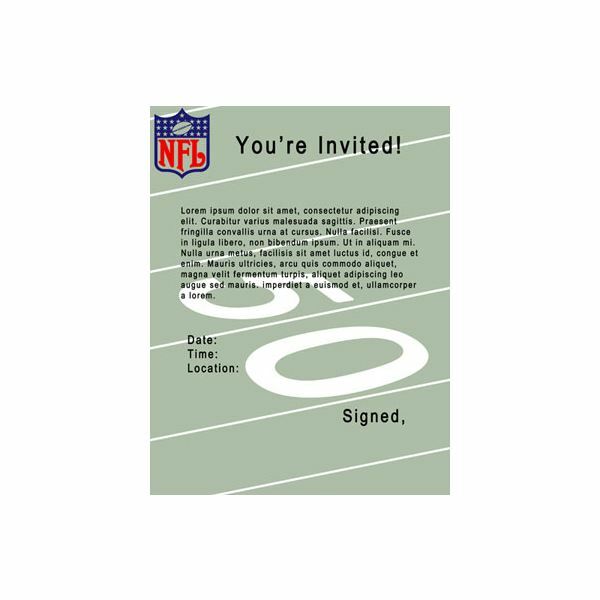 Decorating your football invitations sounds too girly! What you’re going to need to do is slap some decals onto your football invitations if you want to be taken seriously. And instead of defaulting to free clipart, why not try a few high-quality Photoshop brushes? These will give you a professional quality invitation without the cheesiness factor that you get from clipart that hasn’t been updated since 1995. There are a few great options available for download. These include silhouettes of football players, sporting equipment, and of course: team logos! Here are a few to get you started. 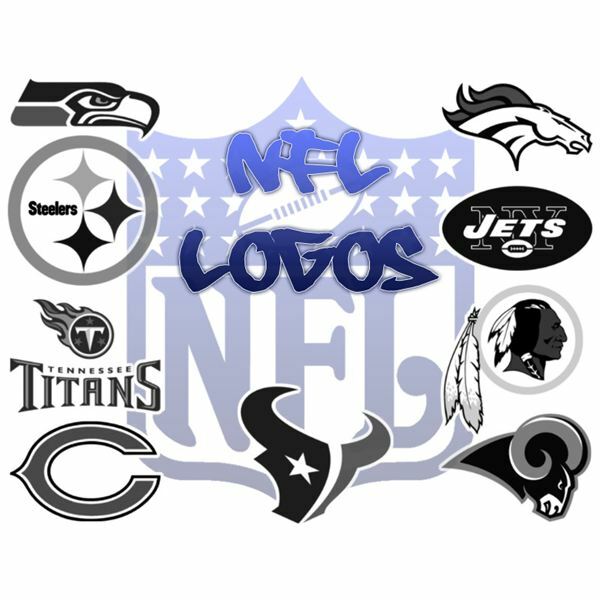 NFL Team Logo Brushes by philipkurz on dA is a great set of all the NFL team logos, plus a bonus of the NFL Logo, NFC logo, AFC logo, alternative Bears and Bengals’ logos, and the Houston Oilers logo. Incredibly high quality and a nice addition to any football fan’s arsenal. As always, redheadstock has done it again. This time she’s provided us with a great mega-pack of sports brushes. This is a pack of 49 brushes that are guaranteed to work with Photoshop 7+, Photoshop Elements 2+, GIMP 2.2.6+, and are large high-rez brushes perfect for not only invitations, but printwork in general. 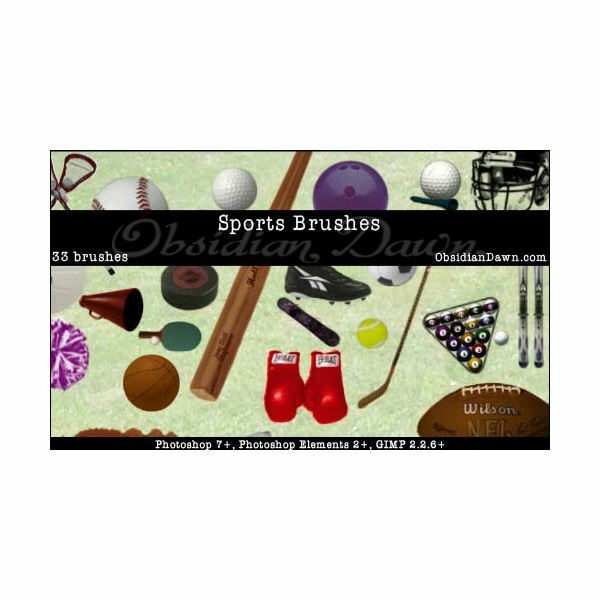 Several football brushes are included. If you use, be sure to credit redheadstock.deviantart.com. You have a few different options depending on the amount of ink you want to use. If you’re not opposed to using quite a bit of green, designing the front of the invitation to look like a football field makes sure that your point comes across loud and clear. If not, try just adding a few team logos and feature text in your team’s colors. This is a classic way to add a lot of style while not overdoing it. And if you’re the one who has parties every time your team plays, why not try your hand at designing a season pass for all your guests? 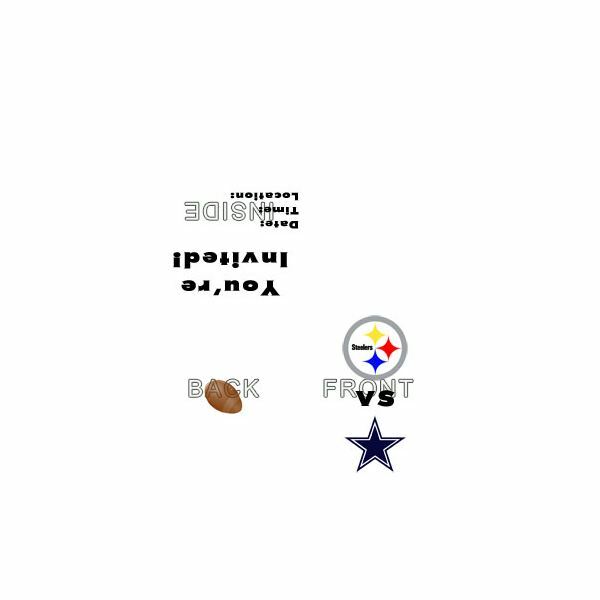 If all else fails and you don’t want to create your own football invitations from scratch, I’ve made two pretty generic templates that you can spice up! The first assumes you know how to fold a quarter-fold greeting card out of a standard 8×11 piece of printer paper. If you actually don’t know how to fold the piece of paper, here’s a great tutorial to show you how. The second, however, is a full-sized piece of paper that you can either fold in thirds and send in the mail, or simply hand to your friends at your next get together. You will need a program capable of opening .PSD files, such as GIMP or Photoshop.